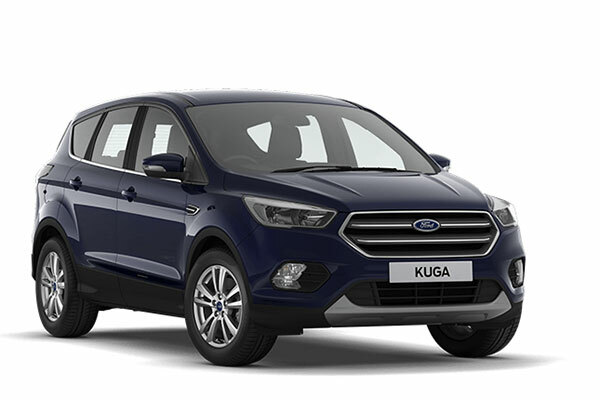 "Car Review : Great car wish I had got 1 years ago"
Read our customers' honest and impartial Ford Kuga car reviews and ratings to easily find your next car at Motorparks. Me and my family love this car! We purchased the Ford Kuga and it is lovely. Perfect family car, big enough boot, smooth drive, very spacious! Everything we wanted in a car this has it! We love it. I now make excuses to go out just so i can drive it. It really is a lovely car. We definatly chose the right one for us. Couldnt be more happier. Thank you Ford. I purchased the new 2017 shape Kuga. I went for the all wheel drive version in diesel. The fuel consumption is very economical and drive is very comfortable. My only criticism is the loss of heated seats which the old top of the range Kugas had. The new design has climate control which is good, but I would still have liked the control of the individual heated seat option. I absolutely love my new Ford Kuga. It meets my needs and expectations perfectly. I wanted something a bit smaller than my previous S-Max, my children are getting bigger so I don't need the huge boot to cart all the baby equipment around and I wanted something which was easier to park. I love driving it and my children love being in it too! Very happy with Ford Kuga. Excellent condition used car and drives well. My first SUV and enjoy the driving experience. It is comfortable and easy to drive. When you start to drive you can not feel that it is a big car. I had a Fiesta before this Kuga but I feel I am used to it now. Amazing car! All details made to feel comfortable. Very easy to drive, very soft and good quality saloon. Enjoy every minute of driving! Car is great and fits all our requirements. Plenty of room for my wife's wheelchair. Lovely car to drive - no issues at all. The 65 plate Kuga Titanium X Sport is a joy to drive, comfortable and does all that I need it to do and looks good. It has had no glitches so far. Love my Kuga, which I bought two months ago. I am 5ft and my husband is 6ft - we both find it very comfortable and easy to drive. Loads of room. Easy to park even without the self-parking facility!. Can't think of any negatives! Great car. I have found the new Kuga to be quiet and smooth, responsive and economic. I found it comfortable easy to drive and controls easy to use. Plenty of room in the boot - a good all rounder for town work and touring. Car is just perfect cannot fault anything looks great drives great and most of all very spacious. A lovely car to drive, plenty of room in the boot and the seats are very comfortable - drive's a dream. We are very happy with our car. For me, getting in and out of a car that has low seats was very hard. The Kuga we have now is a dream to get in and out of. The seating is fabulous with lots of leg room. The Kuga is all that I have wanted in a car great handling, solid build, comfortable for everybody and well laid out. If there is one thing I would change its the rather fiddly blower buttons but overall a really good family car. I'm very pleased with my new Ford Kuga, it's all I could wish for. Having had a Kuga before, this new one is so much better and I love driving it - the best Ford I have ever had. Very pleased with this Kuga, as I was with my last one. Comfortable and does all it says it can. Thank you Invicta. This is my fourth Kuga - a good car, comfortable, smooth ride/drive. Seriously thought about keeping my last one, but Ford deal too good not to make the change. Excellent sales service and support from Tricia Coker at Invicta Motors Canterbury made the change so smooth. Best car I have ever had the pleasure of owning first class interior and the overall shape is far better than all the other cars I looked at before making up my mind. Well done Ford Motor Co.